I like the layout of your contents page, its not very wordy which makes it easy to read. Also like that you have incorporated the school colours into your magazine. 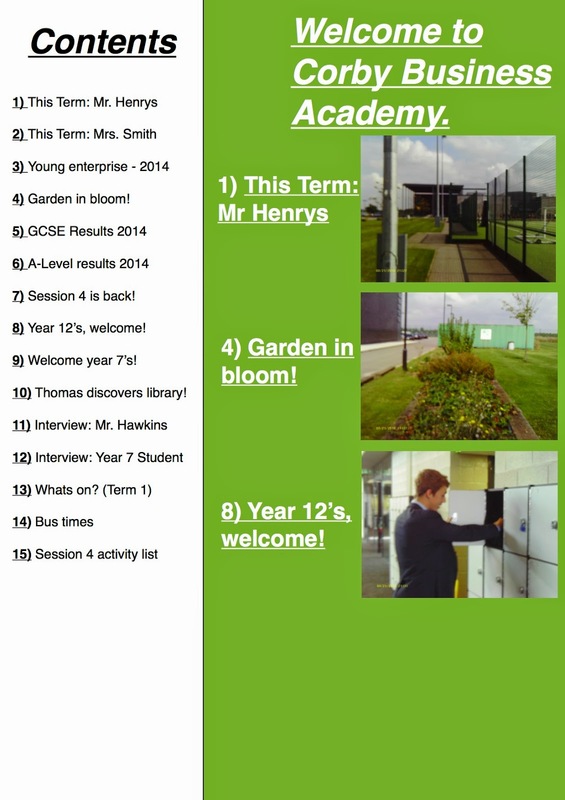 I also like how you have used the photos of the school in your work to show headlines as well as just words. To improve I think you should look at the numbers of you pages and make some changes as the contents page is usually page 3 and articles will start around page 4+. Also I would try to fill up some of the white space at the bottom of your page.